First things first. Visit the optometrist or an ophthalmologist to be sure what kind of problem you have and what kind of solution you need. The doctor will tell you what needs to be done and will prescribe you with medications, glasses, or maybe a laser surgery if it is needed. The eye specialist is the first step before getting new glasses no matter if they are sunglasses or the ones for having a clearer vision. When you have your prescription and you know what needs to be done, ask your eye doctor for advice. Optometrists deal with problems like yours every day. They have experience with previous patients and they also understand how the industry works. 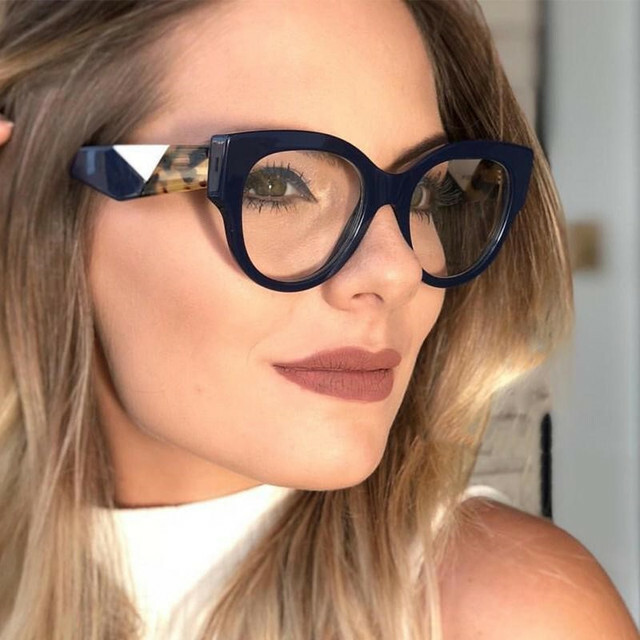 The doctor will surely give you good advice on what type of glasses you need, where can you find these particular glasses and what kinds you should avoid. If the optometrist also sells eyeglasses then it’s probably the best choice to buy on the spot. The doctor that offers the glasses is just a warranty plus for the product you’ll get. If they don’t just pop the question – where can I find eyeglasses near me? After you chose the type of glass, it’s time to work a little more on the looks. The frames of the eyeglasses are the most important for the way you’ll look. A lot of people completely change their appearance after they start wearing glasses. It’s important to know what type of frame goes with your type of face. There are generally 5 face types and accordingly 5 frame types that are best for them. Round face shape – needs a frame that’s rectangular or squared. Square shape – needs round and oval frames. Oval shape – needs glasses with a strong bridge and geometrical frame. Heart-shaped face – need squared or round frames with curved edges. Diamond shape – stylish cat eye glasses. Different people have different skin tone. After you chose the type of the frame, it’s time to choose the color of them. The color should be chosen based on the type of skin color. There are two basic skin types – warm colored skin and cold colored skin. Warm colored are yellow, red, bronze, orange, gold, and similar tones. The best frames for this type are brown, dark green, and bronze. Cold colored are basically green, blue, purple, but in people, it means all types that are less pigmented. The best frames for these people are black, silver, gray, and purple. Rules are rules, but some people love to break the rules. It’s good to know what looks best on you, but you can’t get a certain type of eyeglasses just because the rules suggest and that’ completely against your lifestyle. Always choose frames that match your style. If this is completely against the rules and you truly don’t like how you look, then you can make a compromise. See some ideas here. The most important thing in choosing the right eyeglasses is understanding what type of glass you need. Health comes first and that’s why you need to see an optometrist first. After you finish the examination and understand what you must do, then you can hit the stores looking for the best frames.